Windows 10 has many features which make it unique and adaptable across many industries. 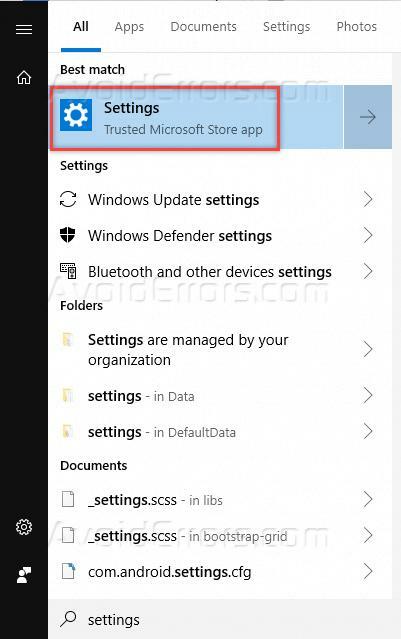 You can use Microsoft Windows 10 for different purposes like sharing the contents across your home, setting up permissions and child lock features and the very interesting feature that can be used in offices, banks, hotels, shopping malls is a Kiosk mode. The kiosk is basically a computer placed at reception for the mall entrance to guide the users or to provide free internet services for the users. 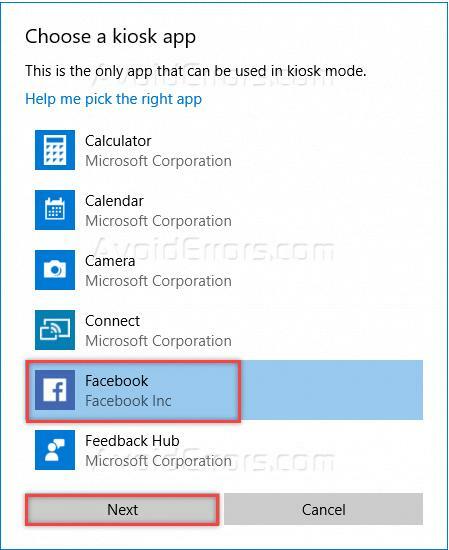 In this article, I will explain how we can set up Windows 10 in Kiosk mode so that you can deploy a Windows 10 based machine as a kiosk wherever required. 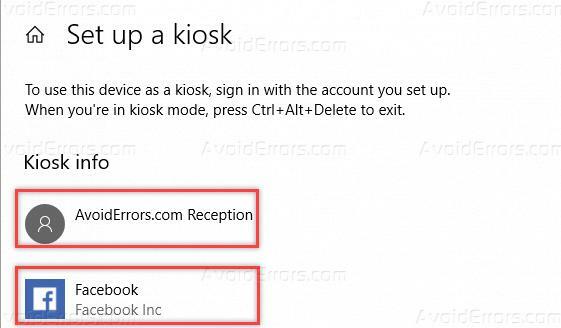 To set up Windows 10 as a Kiosk mode follow the following steps. 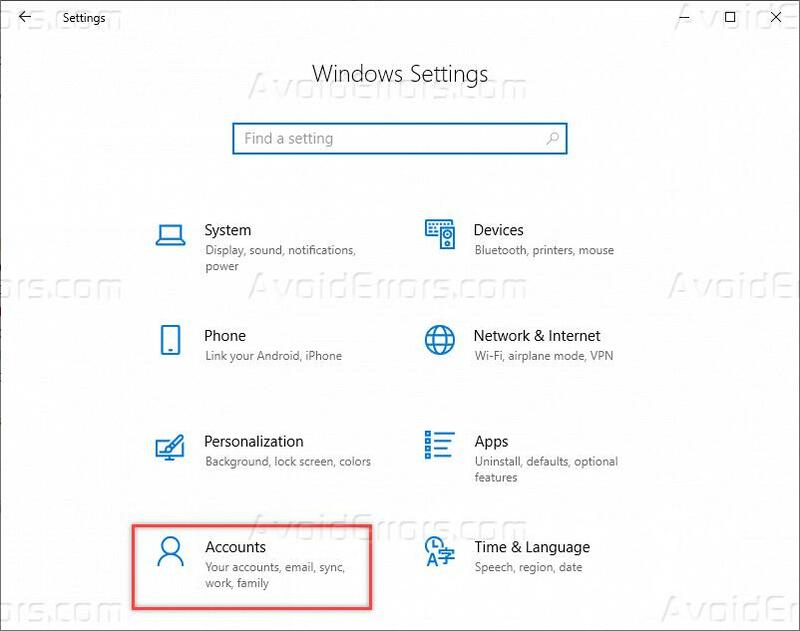 Click on start menu and start type Settings. Click on Settings to open up settings app. And then click on Accounts. On the left side options menu, click on Family & other users. On the right side, you will see option Set up a kiosk. 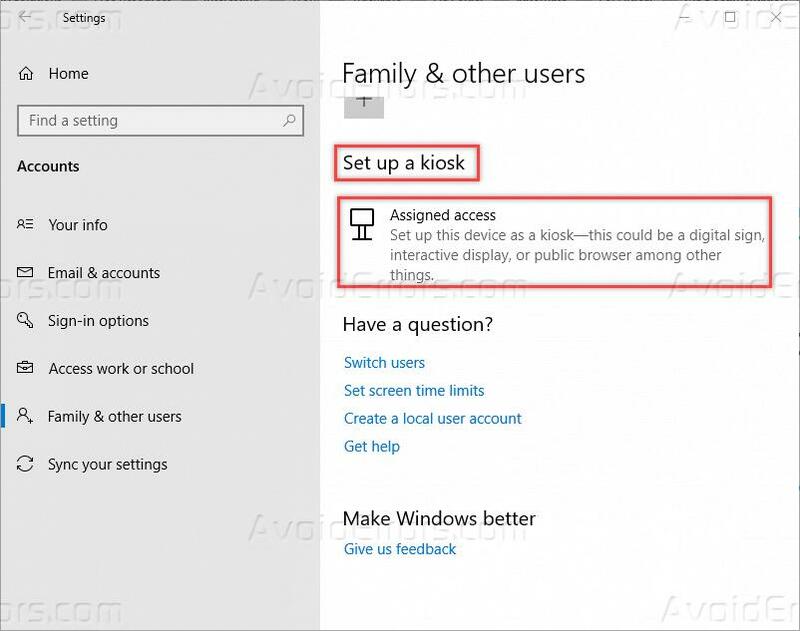 Click on Assigned access, this will start a wizard to help you set up Windows 10 in Kiosk Mode. Click on Get Started and button to start the wizard. Before setting up the kiosk mode, you need to create a kiosk mode user. 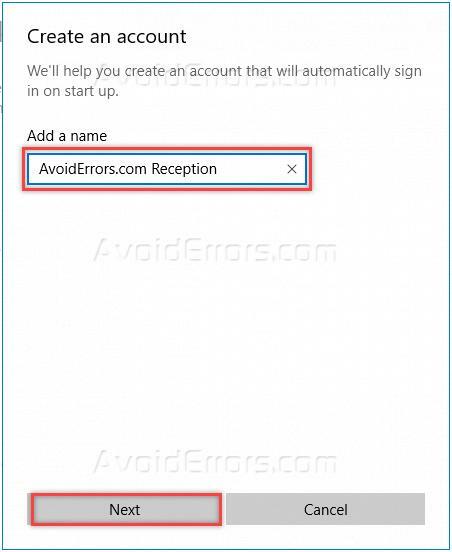 I have created AvoidErrors.com Reception as user name and click Next. Now it will show you the list of apps from which you can select the application that will run on the kiosk. I am selecting the Facebook app will be available at the kiosk. Select it and click on Next. 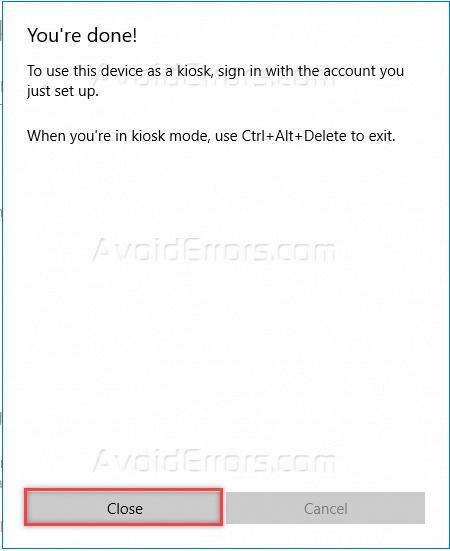 Now you are done, now press Ctrl+Alt+Del to exit from the current user and then login with kiosk users. Click Close to close the kiosk setup wizard. Once done, you can see that kiosk mode has been set up and kiosk related info is also available. Like the user name of the kiosk account as well as the application setup with the kiosk.